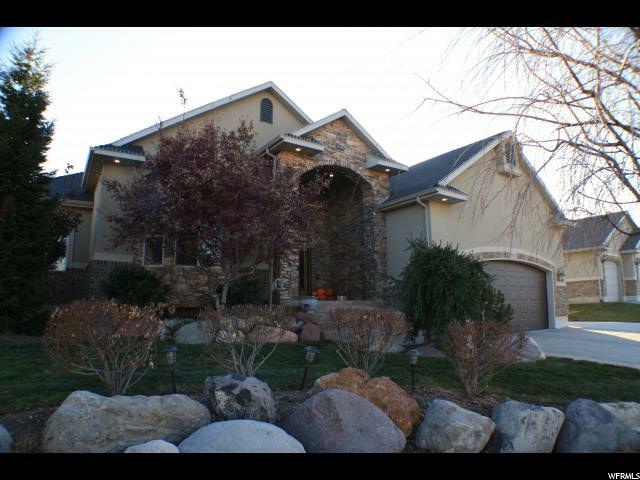 This home is a custom, modern, new style home with all the extras! 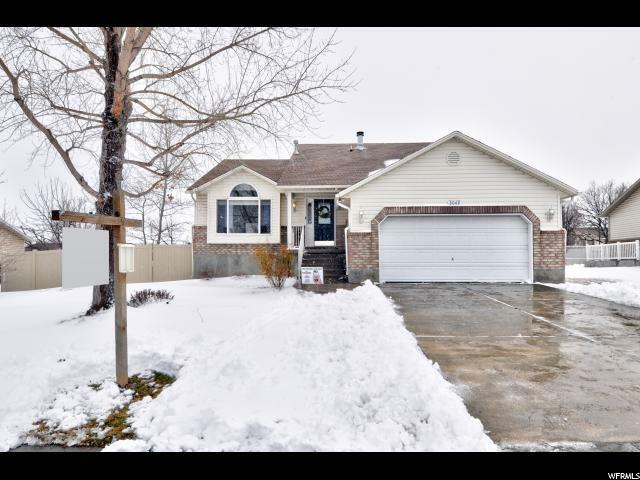 Featuring open main level living with a newly finished basement with wet bar. This house has endless possibilities and is great for entertaining. This six bedroom, three and a half baths is perfect to have a family or customize. The master room, bath and a walk in closet are on main floor. The large entry way leads to an open concept living room then into a custom kitchen. There is also a mudroom, laundry room and a 650 square foot car garage with lots of parking for RV. It also has cold storage and lots of additional storage available throughout the whole home. The backyard features a three-tier pond with automatic turn on switch, fireplace and an eastern mountain view. 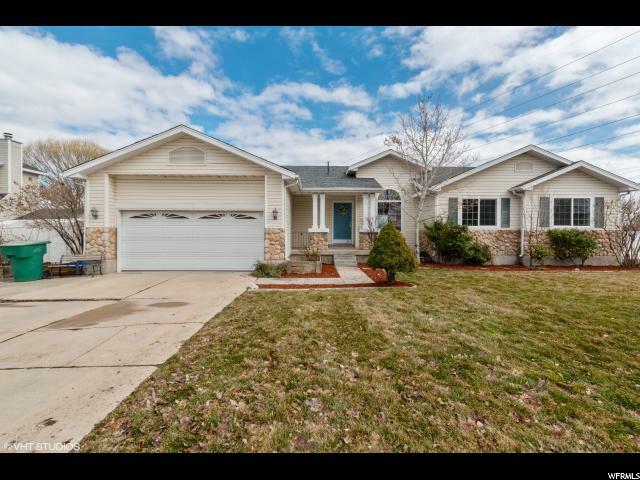 This home is fully landscaped with auto sprinklers, mature trees, drinking fountain, raspberry bushes and a deck with barbeque hook ups on the patio for a wonderful outdoor experience. An additional storage shed in backyard is to help accommodate outdoor needs. This home has a basement that is currently at its end stages of completion. It features a great new oversized bathroom, a wet bar with a great family room. This basement also has a walkout. This home is full of possibilities for its new owner! To view any home available on the MLS using your smart phone simply open the web browser and surf to www.yourutahhome.com then click 'Search by House #'. You can also scan the QR Code at the top of this flyer to display more information.